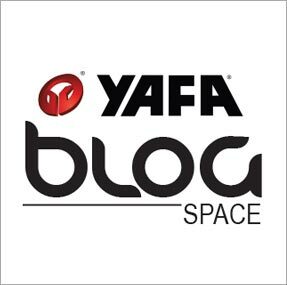 Since 1978, Yafa has been able to produce and distribute the finest writing instruments and inks. 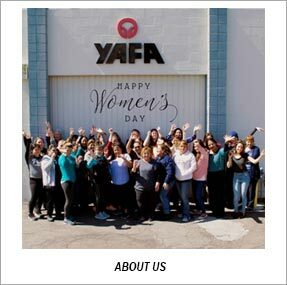 Whether you’re celebrating a holiday, birthday, or happy just because, Yafa Brands ensure top quality! 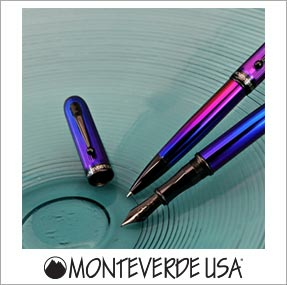 Established in 1978, Monteverde USA has the experience to offer quality craftsmanship. Looking for elegant, innovative designs at fair price points? Monteverde USA has you covered! 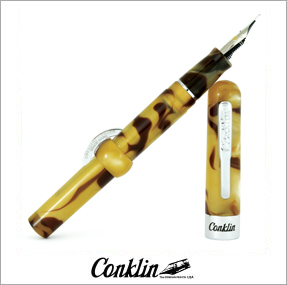 Conklin is revitalized with original designs from the late 1800s! Check out Mark Twain’s favorite writing instrument and enjoy that classic look in modern times. 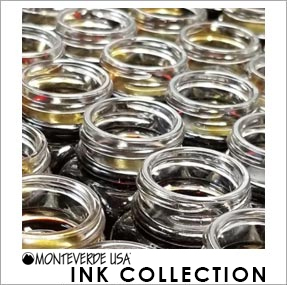 Monteverde USA inks are treated with Ink Treatment Formula (ITF) for smoother, longer use! Allow your writing to stand out with over 50 unique shades. Antibacterial pens, highlighters shaped like nail polish, and a pen that holds your phone upright? Check out the 365 collection for uniquely designed writing instruments! 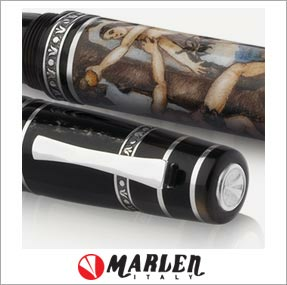 Founded in 1982, Italian brand Marlen crafts handmade writing instruments as expressive works of art. If you’re in the market for stunning symbols of history and culture, Marlen has it all! 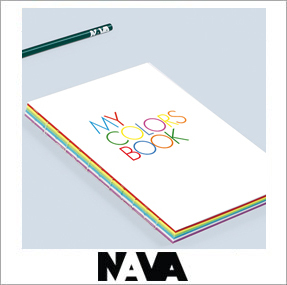 Nava Design was founded in 1970, when Nava began working with leading international designers. Whether you’re looking for durable bags, bold notebooks, or unique watches, Nava’s got it! In 1991, ONLINE was founded with students and professionals and mind, and has since evolved into a trendsetter in the industry. 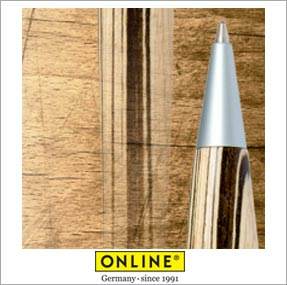 Form and function combine to offer fine writing instruments from Germany! The Italian brand first arrived on the scene in 1968 to denote innovation, style, and functionality. 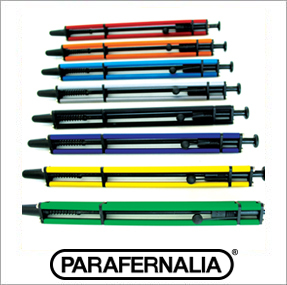 Check them out for bold writing instruments with unique designs! 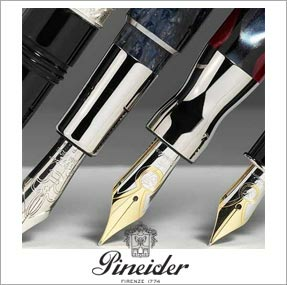 Since 1774 Pineider has represented the Italian Excellence, taking inspiration from rich European history and royalty. Searching for fine stationary for that special occasion? Pineider offers top quality and a wide range of paper sets! 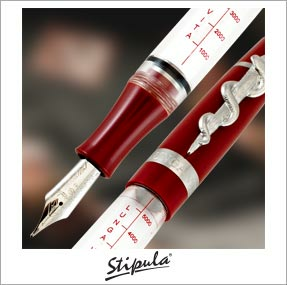 Founded in idyllic Florence, Italy in 1978, Stipula manufactures fine pens that celebrate divine Italian artworks. Celebrate history with iconic writing instruments! 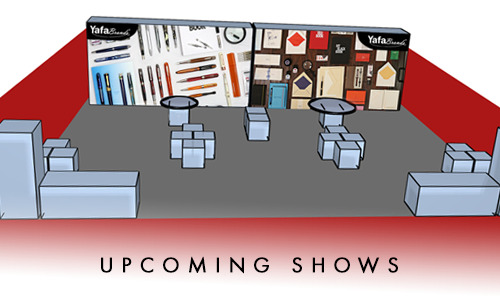 Interested in what fellow pen lovers are discussing? Read our blog for pen-spiration! 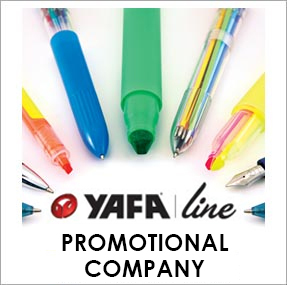 Bold highlighters, durable stainless steel bottles, and handy tote bags are just a few of the easily customizable items that Yafa Line has to offer for your next company event! Rollerballin’ on a budget? 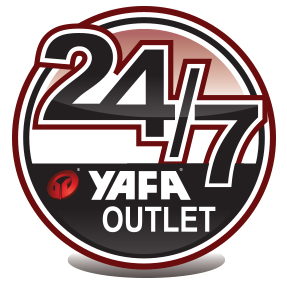 Shop the Yafa Outlet for great deals! 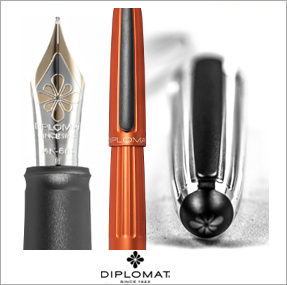 Since 1922, Diplomat fine writing instruments have been manufactured using traditional craftsmanship methods. Check out these collections straight from Germany. 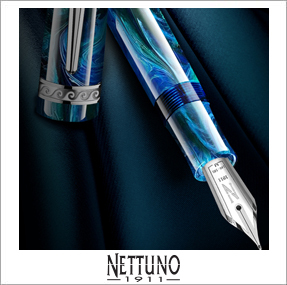 In 1911 Nettuno put the city of Bologna on the map as the first Italian-manufactured fountain pen was crafted. Choose from collections fit for the god of the sea.